Ignite your passion for yoga. Enroll in your 200TT today to save up to $900! Save 20% on select 300-Hour trainings! Are you ready to become a yoga instructor? Get insight to what your training will be like by visiting our Resources page! Open your heart and dive deeper into your practice by becoming 200 RYT and 500 RYT certified. Are you ready to take your personal yoga practice to the next level? 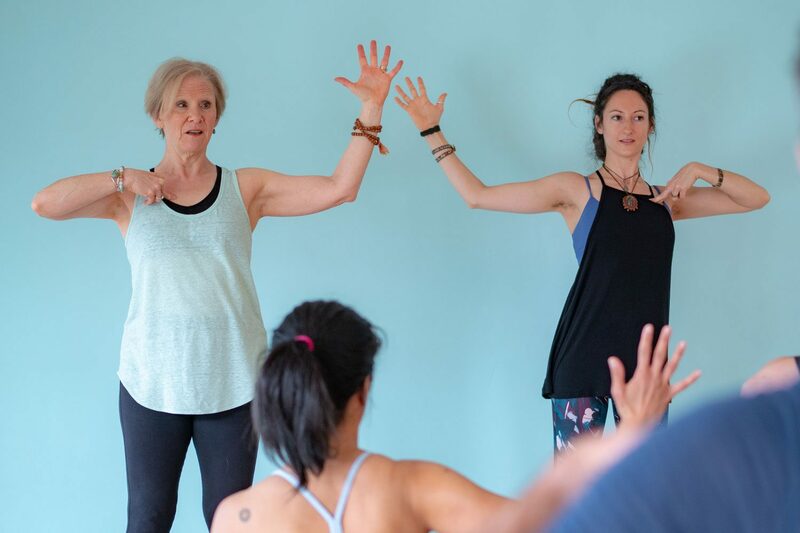 Our 200-Hour Teacher Training program will guide you on your yoga journey, whether your goal is to become a Yoga Alliance certified instructor or simply to deepen your own personal practice. If you have already completed your 200-Hour Teacher Training, at Asheville Yoga Center or elsewhere, you can continue your yoga education with our 300-Hour Teacher Training program. You can select the advanced studies modules that best suit your interests through our flexible training program. Whether you’re looking to expand your knowledge of yoga or earn your RYT-500 designation, our 300-Hour Advanced Studies Modular program is right for you. Gain the skills, knowledge and experience to be an amazing yoga teacher. Join the 3,000+ happy graduates of our teacher certification programs in this life changing experience. All programs and teachers are Yoga Alliance registered and approved. Through the guidance of an expert faculty, our 200-Hour and 300/500-Hour Yoga Teacher Training program helps future yoga instructors and those simply looking to deepen their practice to grow their confidence and expand their knowledge of yoga. The curriculum covers everything from anatomy to the business of teaching classes and everything in between. Explore your options for yoga teacher training with Asheville Yoga Center.